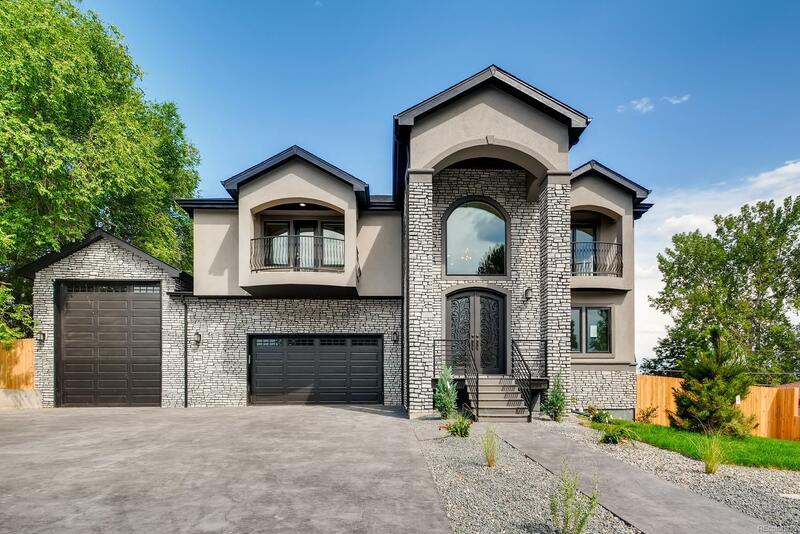 MLS#: 9228442 - Courtesy of Re/Max 100 Inc.
Sophisticated custom home located in a great Little location. Boasting 5 bedrooms, 5 bathrooms, plus an office, this open floor plan is spacious and inviting. The kitchen includes SS appliances, an over-sized island w/wonderful granite countertops, custom cabinets and butlerâs pantry. The kitchen opens up to a large two-story living room and a showcasing stone fireplace. Main floor also features hardwood floors throughout and a master suite with a 5-piece and extensive walk-in closet. A large staircase welcomes you upstairs to an ample loft with a gas fireplace and lots of natural light. The 2nd master and an additional 3 bedrooms, all with great closet space complete the 2nd level. The good-sized backyard is perfect for entertaining and includes a covered deck and privacy fence with a yard. Huge attached garage with space for 2 or 3 vehicles and additional RV area with a clean out. Home faces west with great mountain views and close proximity to E-470 and Chatfield Reservoir.